You need to be not only accurate in your translations, but also quick. We live in a world where everyone needs results yesterday. It’s crucial that you be able to deliver the translated documents in a timely manner. Fortunately, the digital revolution has thrown up several solutions in this field as well, and today many software solutions are present to make the task of translation less tedious. In this article we present to you the best online translation tools as recommended by senior and expert translators. One of the most popular CAT tools in the market today, it’s a unique tool in that it is a combination of a dictionary and a search engine. This means you can easily search for bilingual text – terms and phrases in different languages, to check the meanings and their contextual translations. It also performs a web search for previously translated documents that are relevant, and displays the way a particular word is translated everywhere online. Translators and language learners often use this translation tool with Google Images to make work easy. This is an-rounder online translation tool: a mix of encyclopedia, thesaurus and dictionary. What’s more, it’s available in several languages like English, Portuguese, French, Spanish and Japanese. In addition to linguistic nuances like acronyms, quotes and idioms, this tool has rich medical, legal and financial glossaries. Several sections in the encyclopedia are regularly updated and offer users the day’s specials: an article or a word. The Free Dictionary app is available for Android as well as iOS mobile devices. Also read on how to learn french your own. Rather than an app, this is a portal which connects translators and linguists, and enables them to exchange knowledge about terminology, collaborate on translations, training, share dictionaries and so on. This interactive crowdsourcing platform has discussion forums which translators can join and seek answers to their queries. 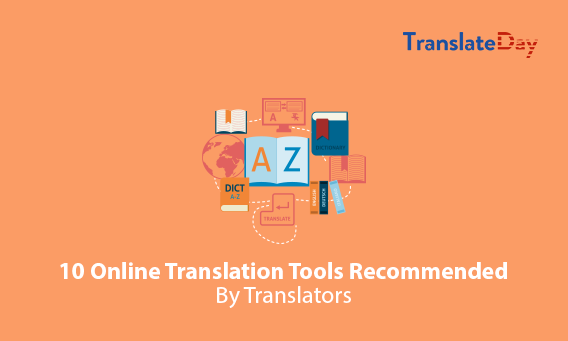 This translation tool is highly recommended by professional translators. It combines terminology, machine translation, TM and software localization. This is a powerful tool which can be very useful to increase your client base. There is a free 30-day demo version after which you need to pay to use it. Ideal for freelancers, this is one of the best online translation tools that has several powerful functions that allow you to simply reuse earlier translations. You can also use MemoQ to perform a spell check, verify the use of correct terms, ensure consistency and improve overall quality. Though it’s a paid solution, there is a 45-day demo version you could check out first. This multi-platform TM software helps to improve the overall process of translation. Even with the demo version, translators can export and import TMs and use it without time limits – subject to a 500 unit memory size. You also get tutorials and support for free along with this online translation tool. This premium CAT tool is basically TM software and is popular among freelance translators. It is compatible with Windows, Linux and Mac, and comes at a price of $9.95 a month. The Enterprise version has some more frills like a project management module called Fluency Flow. Document statistics and an inbuilt proofreading function are other features available in this translation tool. This is a web based system for managing localization projects, and is useful for content creators and translators. It takes care of the complete workflow, enabling translators to focus on their core job of translation, rather than worry about formats and stuff. Zanata has a TM that searches for and recommends the best matches for translation in the whole system, and its editor is compatible with almost all the popular web browsers. The best part is that several translators can work on the Editor and can communicate in real time in the chat rooms. This online alignment software tool is free for use. It allows you to create alignments from your archived documents quickly and easily, at the sentence level. It allows you to download the alignment in HTML if you want to publish online or to search for terms and phrases via a full-text search engine. You can also download the alignment in TMX format to add to your TM. More than 100 file formats can be handled by this tool. This cloud based TM database is integrated with Gengo, and makes for an efficient and effective tool of project management. Editing and terminology management are the other operations available for translators for enhancing their overall productivity. Memsource Editor is the desktop version, which can be downloaded free of cost. Project management software: This is for project managers in translation service companies; it will help them manage complex projects by task assignments, due dates and progress tracking.As a translator, a mere love of languages or even excellent fluency may not be enough to help you excel at your job. You will need to be familiar with the etiquettes and ethos of that region or country for which the translation is intended. There arises the need of online translation tools for the users that will help is easy and fast translation. You also need to have subject matter expertise – that is, you need to decide what subjects you will undertake translation jobs in. For example, you can decide to translate legal documents only; believe me, there is a pretty good scope for this field. If you’re not interested in law, you could also choose to translate transcriptions, or film scripts, instruction manuals, technical documents or any other. It is always good to specialize. Don’t try to dabble in everything that comes your way. It is not possible for any one person to have expertise in vastly varying subjects; you want to be master of a trade – or two – but not a jack of all trades and master of none! This is probably the most well-known and most used CAT tool. The software cuts up the document that is to be translated into smaller parts, called ‘segments’. As the translator progresses in translating the document, the TM stores the translated text in a separate database, which it can access later. At a point when the software comes across text that is similar to the portion that is already translated, it recommends reusing the previous translation. Some TM programs work in a slightly different way, like with reference documents that have been loaded earlier. Examples of TM software include Trados Workbench, DéjàVuX, Similis, Star Transit, SDLX and so on. We will take a detailed look at some of them later. These search engines operate pretty much like Google, Bing or Yahoo; only, instead of searching the worldwide web, they sift through huge databases of translation memory. The main function of these search engines is to find bits and pieces of stored texts that were previously translated, that are a match for the new text that is being translated. Linguee is an example of this tool. You also have software translation tools for managing terminology. This allows the translator to perform an auto search for terms in a particular document, in a database which has stored translations. Some of the online translation tools allow addition of new matching words and terms, and use different methods for verification. Later, the translator can perform a check and determine if the terms have been accurately translated or not, and whether a term that appears repeatedly has been translated consistently throughout the entire document. LogiTerm, SDL MultiTerm, and Termex are examples of terminology management software tools. Alignment software tools enable the translator to create a translation memory by using both the source and the target of the same document. The tool cuts up the documents into segments, and tries to identify the segments which match each other. The results of these operations can be imported into another translation tool (TM software) so that it can be used for translations in the future. YouAlign, Bitext2 and LF Aligner are examples of alignment software. This is something like the software on your Smartphones – remember the suggestions it displays when you start typing a word? Well this is very similar; only here, the software throws up suggestions for translation of certain phrases or parts of a sentence. TranslateDay is one of the fast rising player in the translation industry providing translation services for all kinds of documents including Birth Certificate Translation USCIS. It has been able build an untarnishable trust with their prompt and accurate interpretation. Você tocou alguns boa coisas aqui. Qualquer maneira acompanhar wrinting.